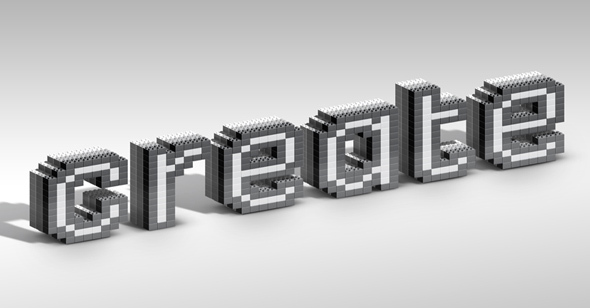 For the full, written tutorial on how this was created, check out How to Create a Lego Inspired Text Effect in Adobe Photoshop over at DesignTuts+. This entry was posted in Behind The Scenes, Tutorials and tagged Animation, Photoshop, Speed Art, Technique, Text Effect, Tutorials, Video. Bookmark the permalink.